While visiting my parents this summer, I took a look through my mom’s cookbooks. In her vast collection, I spotted two books by Ani Phyo, who writes an easy-to-absorb raw food explanation and many recipes. 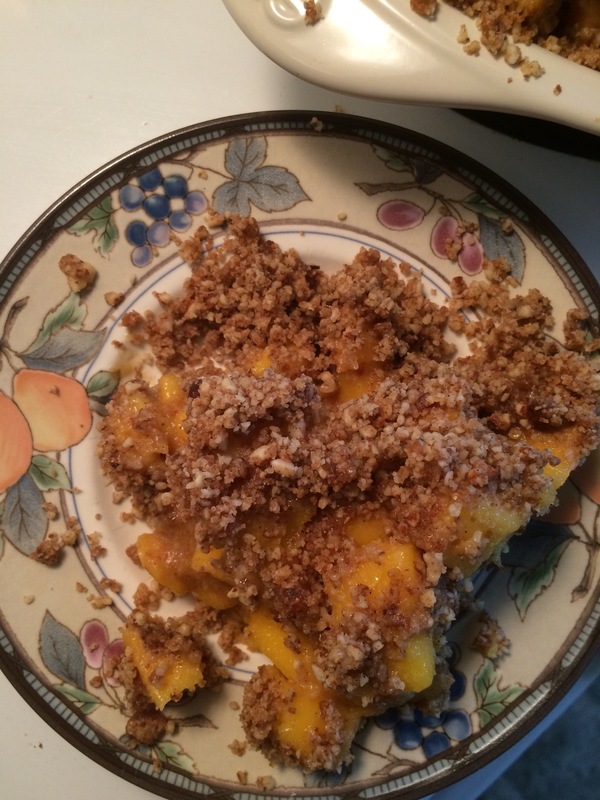 I wrote a whole bunch down from both books, and tonight I served a delicious dessert inspired by her Raw Food Kitchen book; Fresh Mango Cobbler. I isually like to put my own twist on recipes, and I’m thinking you could substitute peaches, pears, apples, etc. for the mangos, but in tonight’s case I stuck pretty much exactly to the recipe. I’m glad I did! It was so good! For the crust, process the pecans, vanilla bean and salt to a powder. Add in the dates and process until well mixed. Pour the mixture out into a bowl; don’t scrape off the excess. Pat down half of the mixture into a pie plate, and set aside the rest. For the syrup, put the dates, oil, and vanilla bean into the food processor and process til mixed well. Add enough water for a syrupy texture. For the filling, peel and dice 3-4 fresh, ripe mangos. Put into a large bowl and toss with the syrup. 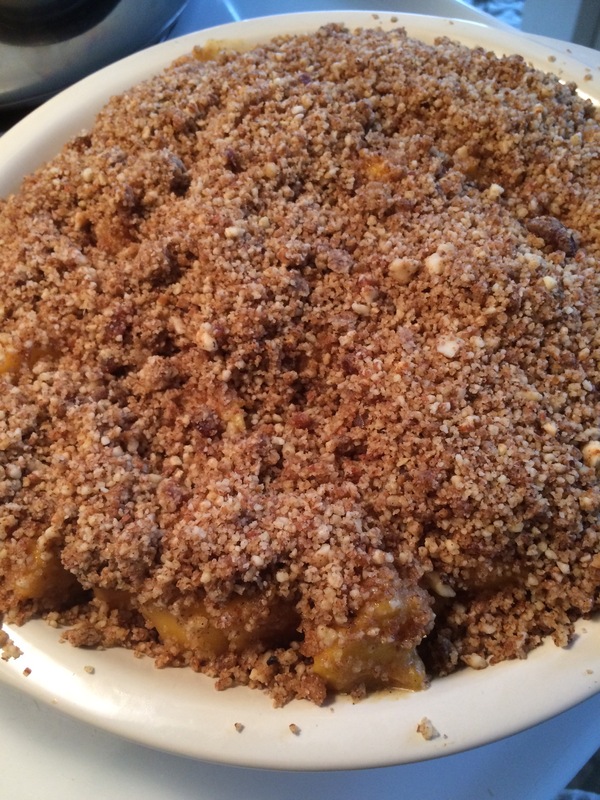 Pour the mangos onto the crust, and top with the other half of the nut mixture. It really is quite tasty. It’s the first time I’ve tried a raw “dessert” and I was impressed!